A course designed for the novice or those with little knowledge or experience in electrics, this Watford based basic electrical course is the first step for those looking for a career as an electrician. The course will be assessed by a combination of practical and theoretical work. After completing this course you will receive a certificate of attendance in Basic Electrics. The course will be taken at PASS in London (Watford), however other venues are available. • Beginners and those entering the trade from other trades, such as shop fitters, plumbers and builders. After completing this course you can carry on to the Introduction to inspection and testing of electrical installations. It is recommended that you read the “IEE on site guide to the 17th Edition Wiring Regulations” and the “Electricians Guide to the Building Regulations”. It is also helpful to bring these along with you on the day. New to the field? Get started with our basic electrical course! This is an electrical training course for those who would like to begin a career in the electrical sector. 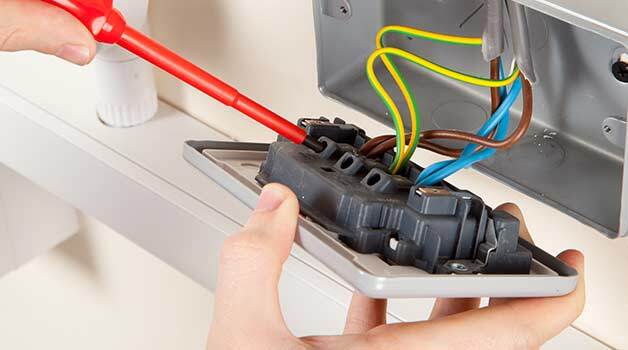 Basic Electrical training course is suitable for those with no experience in electrics. Designed with the novice in mind the course will introduce you to the basics in electrics and wet your appetite for a career as an electrician or domestic electrical installer. This course is held at our Watford location although it is also available in other venues across the UK.